I wanted to create a'I hope you feel better" for a man friend that recovering from a surgery . He is musical and loves nature. I had the perfect stamp from Skipping Stones Designs ! 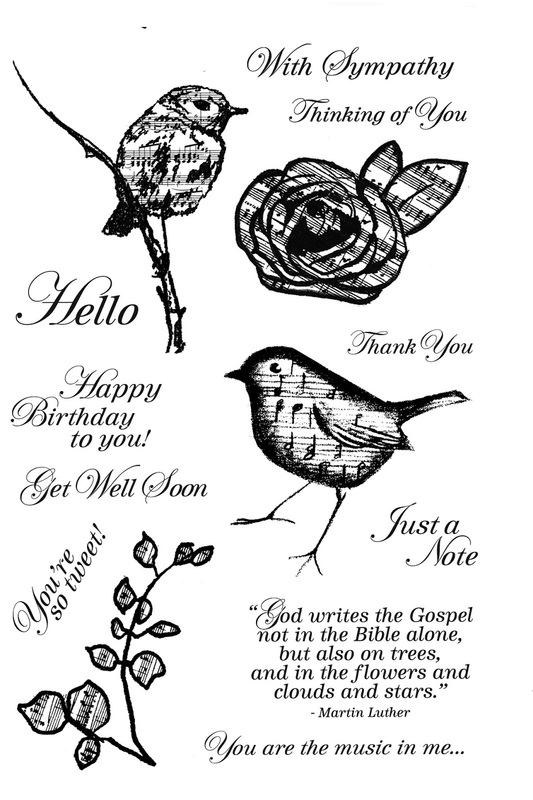 I simply heat embossed the bird and the sentiment on designer paper from my stash using black ink and black powder. I colored the bird in using Gold and Silver metallic Sharpie pens! Ff you don't have a set, you really should grab one, they will mark on anything including this glossy paper! I love this sweet birdie and what a great use for the metallic sharpies! I will have to see if mine have dried out or not. TFS! Great get well card for your friend! 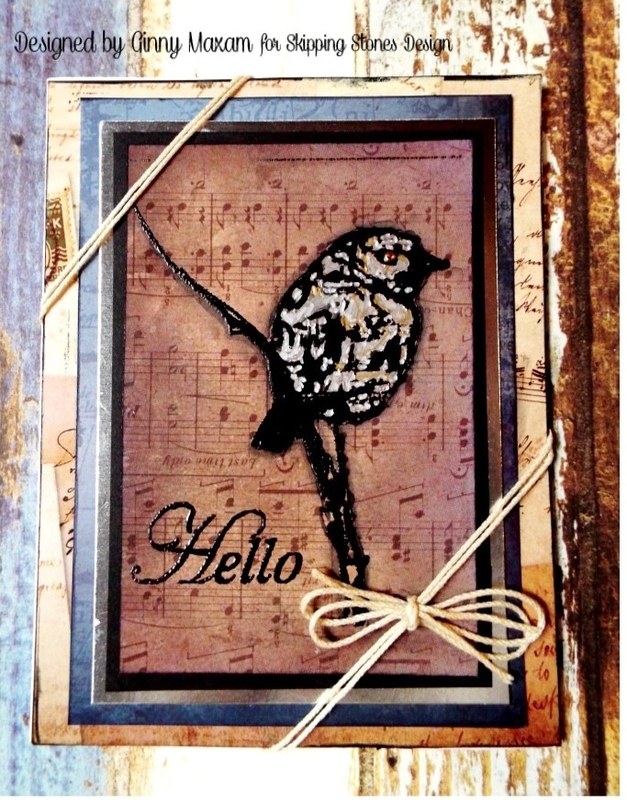 Love the way you used the metallic sharpies - I have some of those, but haven't used them much! Great inspiration!